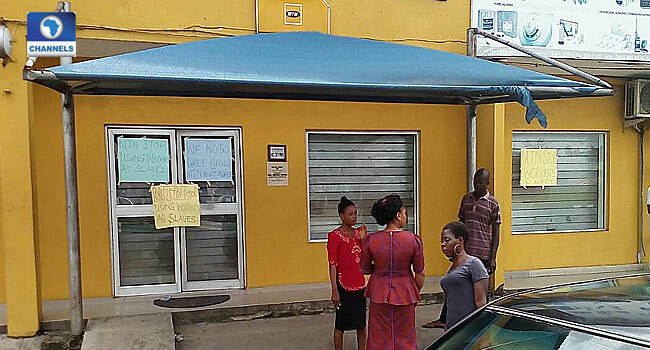 Members of the Nigeria Labour Congress (NLC) on Monday picketed offices of telecommunications mobile service provider, MTN over alleged non-compliance to labour laws. The NLC officials picketed MTN offices in various parts of the country including, Kano, Akwa Ibom, Ilorin and Enugu alleging non-compliance to labour laws and the refusal of MTN to allow unionism. Aremu claimed that MTN did not just disallow unionism but also pay below national minimum wage and constantly sack their workers without benefit. He noted that the picketing will last for three days pending when the Labour leaders will decide the next line of action if the company did not yield. The organised labour in Akwa Ibom state also picketed the MTN office in Uyo. 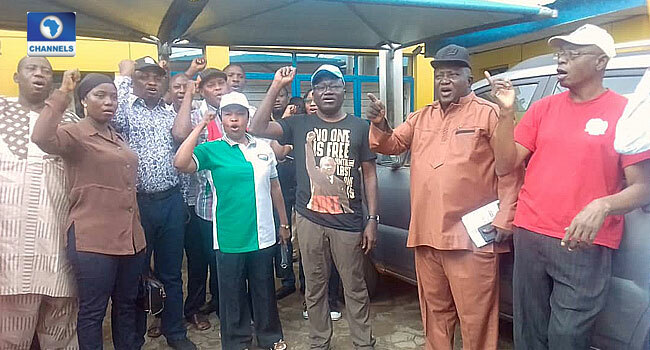 Chairman of Nigeria Labour Congress (NLC) in the state, Etim Ukpong who led the protest said the company’s labour policies are against civilised labour practices. Meanwhile, MTN in the reaction described the picketing and destruction of their properties as a sad development noting that the safety of their employees is of utmost priority. In a statement signed on Monday by the Corporate Relations Executive, Tobechukwu Okigbo, MTN said all workers have rights that should be protected. They added that they will continue to champion the rights of their workers whether they are part of a union or not. “MTN supports the freedom of association as enshrined in the Nigerian Constitution,” the statement read in part.